For just one post, I would like to take off my Powertrak and Microsoft Dynamics CRM hat and talk about something just as important, corporate culture. Sure, selling software and servicing customers are both vital to our business success but let’s not forget that a happy worker is a productive worker! Here at Axonom, we’re proud of the corporate culture we’ve cultivated and believe it’s one of the highlights of being a part of our team. We’ve fostered a philosophy of “Work Hard, Play Hard” that’s permeated throughout the business and it provides for an exciting atmosphere of high energy participants at our regional offices. Believe me, our executives understand the importance of an employee-friendly corporate environment. The company offers perks such as telecommuting, flex time, tuition reimbursement, game room, employee lunches, athletic competitions, social outings, and more. In addition, we encourage good working relationships among coworkers by planning holiday parties, summer lunchtime gatherings, happy hour outings, birthday celebrations, and anniversary recognitions. Dress code – Dress comfortable but appropriate… anything from sport coats to polos, dress pants to jeans. Business hours – Normal business hours are 8am-5pm, but flexible hours can be requested. Office setup – No cube farms allowed. Have the option to work at the office or remote. Turnover – Very low turnover. Many employees have been with us for 10+ years. Hiring decisions – Complement of seasoned professionals and young “grow with us” workers. Treatment of clients – First-class. Developers deliver a solid product. Our seasoned sales and account reps set the project expectations. Finally, the services team implements, teaches and guides customers throughout all project phases. Client satisfaction – Many customers have been with us for over 5, 8, 10+ years. Customer testimonials are found on Microsoft Dynamics Marketplace and our very own website. Competition. 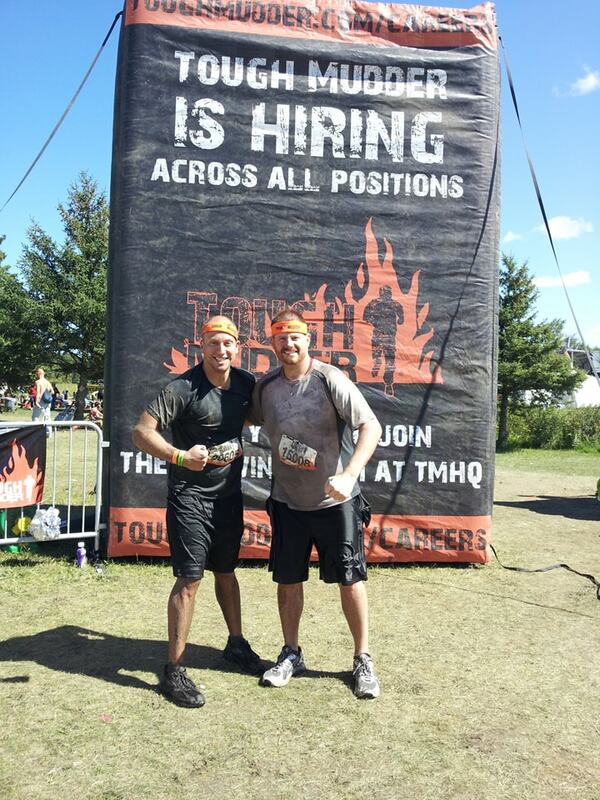 We have fielded teams to run half marathons that pitted our services staff against our sales team. We’ve had a lunch time Frolf (Frisbee golf) league, after work basketball games in the parking lot, and evening golf leagues. Encouragement. Sure, we like to compete against one another but we also cheer, encourage and recognize those who pass an exam, participate in an individual event or anything of the like. Fitness. Many of our members are interested in fitness and have organized lunch time or after hours workout sessions at the gym, a jog around the lake, or the adventurous run up the Hyland Ski Hill (killer). Social. We’re not all about running, throwing, and lifting weights. Our CEO has a background in local music production and appreciation of local indie music runs high within our ranks. We make an occasional visit to a show. Gaming. Participate in our development team’s WoW raids. We are committed to hiring the best talent and having a great place to work. Find out more about Axonom and our corporate values on our careers page.